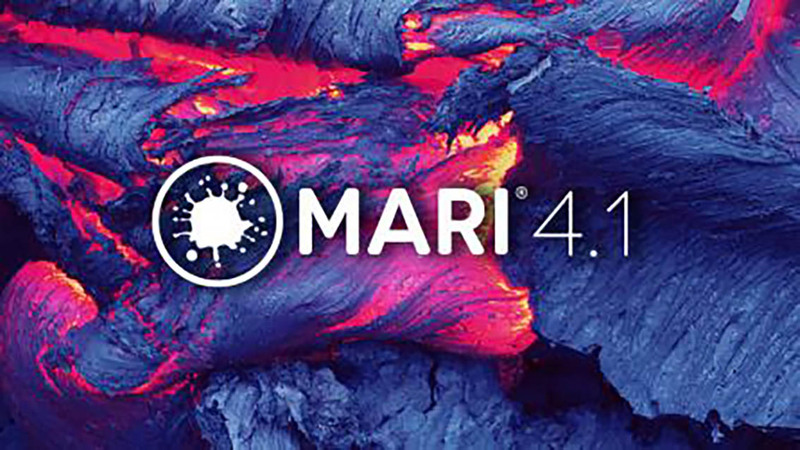 Mari 4.1 brings improved color picking to achieve a WYSIWYG workflow; Scalar Channels and source images now display perceptually linear; a refreshed colorspace toolbar that shows the artist whether they’re viewing color or scalar data at a glance; and new visual indicators to define whether a Channel contains color or scalar data – as well as its bit depth – allowing the artist to easily manage Channel configurations. Improved color-space performance gives faster project load times and GPU accelerated procedurals; and that’s on top of a new filter for changing the color-space of a paint target, adding more flexibility to Mari’s color workflows. Significant efficiencies have also been made to the way Selection Groups are managed. Mari now uses a single OCIO color-picking colorspace to define all saved colors and color-picking tool colorspaces. This achieves a ‘what you see is what you get’ workflow when managing your chosen colors. The Colorspace toolbar has been refreshed and renamed to the View Transform toolbar. Labels have been replaced with tooltips, controls have been combined, and there is now a visual indicator of the data type being viewed. The Color Manager controls are now hidden when OCIO color management is enabled. Mari now contains visual indicators in the Channels palette, to define whether a channel contains color or scalar data and to display the channel’s bit-depth. This lets you manage channel configurations at a glance. Mari now contains the OCIO Colorspace filter. This allows you to convert paint target and buffer’s colors to another colorspace within the currently loaded OCIO config, without affecting any channel settings. Mari’s colorspace processing has been optimized. This results in faster project load times. Accelerated Procedural Layer Color Management The existing GPU accelerated color management system has been extended for paint data to work with procedurals as well. We have introduced new OCIO role names that Mari will now recognize and use to configure the project’s colorspace defaults. For full details of roles and targets, please refer to the Project Settings topic in the Mari reference guide and the Mari Specific OCIO roles in Color Management knowledge based article. When a new object version is added, Mari now attempts to match selection group’s membership across to the new version. This allows you to define selection groups once and have them applied across all subsequent object versions. See Adding and Removing Object Versions. A number of changes have been made to make it much easier to navigate around the toolset. A new Palettes Toolbar containing all Mari’s palettes offers easy access and visibility to everything Mari can do. It’s now easier to expand a Palette to fullscreen – simply hit the spacebar while your mouse is hovered over it. Tools of similar function have been grouped under a single button in the Tools toolbar, taking up less space and allowing the user to better focus on the Canvas. And we’ve merged various Palettes together, removing duplication and simplifying the UI, making Mari both easier to learn and use. The Colors Palette is now scalable for better precision, and the component sliders have been improved to show the resulting color at each point along the control. Users can now fine tune their procedural operations with precision keyboard stepping functionality brought into Mari’s numeric controls. The HUD has been redesigned so it no longer draws over the paint subject, allowing the user to better focus on their painting and work more effectively. Basic Node Graph mode has been removed: Advanced is now the default. For everyone learning Mari, the Non-Commercial version now has full Node Graph access. We’ve upgraded to OpenSubdiv 3.1.x and introduced the features into our UI, enabling users to better match the behavior of mesh subdivision that they get in software renderers. Mari’s user preference files are now saved with the application version embedded in the file names – meaning artists can work between different versions of Mari without the danger of corrupting their UI or preferences. Many preferences have had their groups, labels and tooltips modified to be easier to understand. And we’ve upgraded all the 3rd party libraries to match those specified by the VFX Reference Platform 2017.